Is your inventory performing as well as it could be? Is it keeping you competitive? 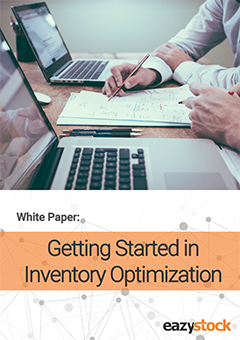 Check out our white paper on Getting Started in Inventory Optimization and analyze your own inventory performance. Discover which red flags to watch out for in your warehouse and how an inventory optimization solution can help you lower inventory levels and boost customer service levels – without having to completely replace your existing systems. Take your first steps towards inventory optimization and make your SMB run more smoothly than ever!